The Australian Nurse Family Partnership Program (ANFPP) is a nurse-led home visiting program that supports women pregnant with Aboriginal and Torres Strait Islander children and their families. 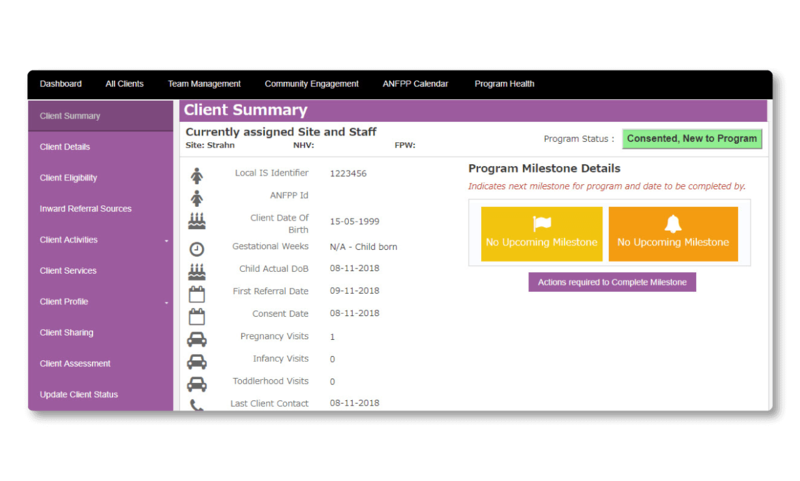 To support the growing number of partners and administrators who carry out the program, ANFPP built a powerful, flexible program management and information collection application with OutSystems, without outsourcing. Now information is stored and shared across a universal platform, and with an intuitive UX to boot. Supporting families in a holistic way demands collecting sensitive client information and sharing program fidelity details. Guy Elliott and his team (developer Roman Bebenin and data analyst Jigar Patel) from the ANFPP National Program Centre (part of Abt Associates) used OutSystems to quickly develop a powerful, flexible new program management application—without requiring any help from external contract developers. Challenge - The ANFPP is delivered through multiple partner organizations across Australia, including urban, regional, and remote locations. Delivering effective care to all clients across these locations means collecting program-related information and managing clients. In the ANFPP’s legacy data collection solution, this was handled by extracting data from multiple sources and crunching numbers through a cumbersome access database using Python. 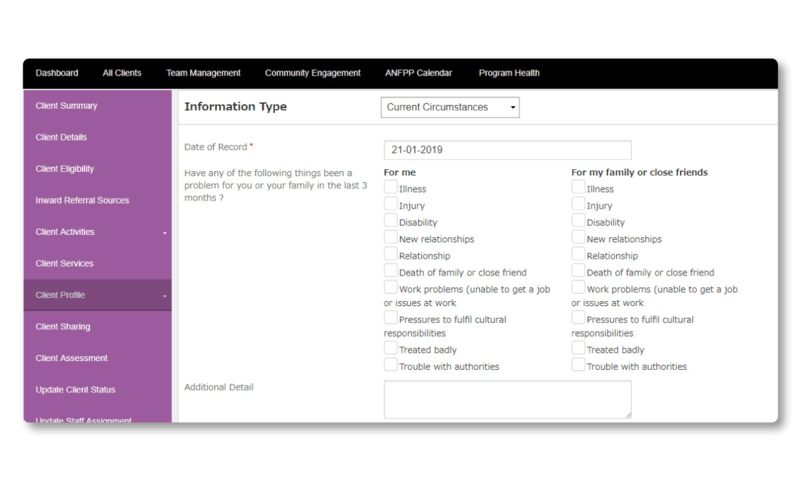 Home visiting teams and administrators needed a way to store and share program information digitally. But as they work for many various partner organizations and with geographically diverse communities, a centralized information collection application was required to ensure that the new and expanding partner organizations would have a common platform. The significant growth of the program added to the challenge. Recently expanding from three to 13 sites, unprecedented demand was placed on the program’s legacy information collection systems. 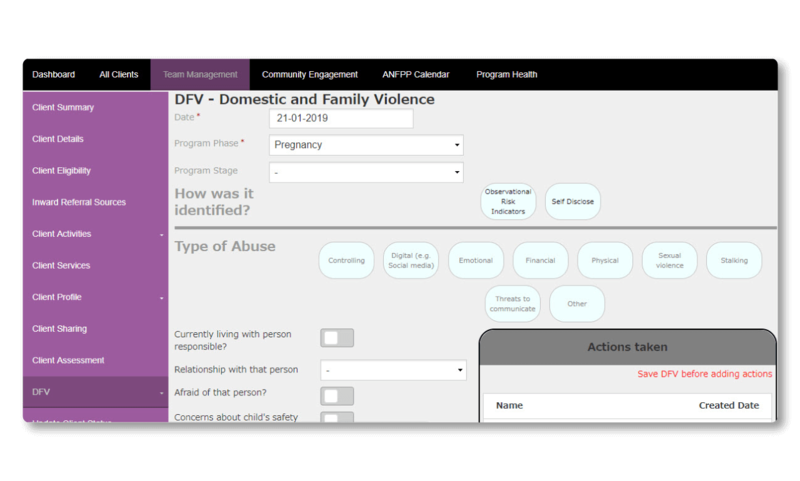 The ANFPP needed a new tool to manage the program—one that could scale up to meet demand. 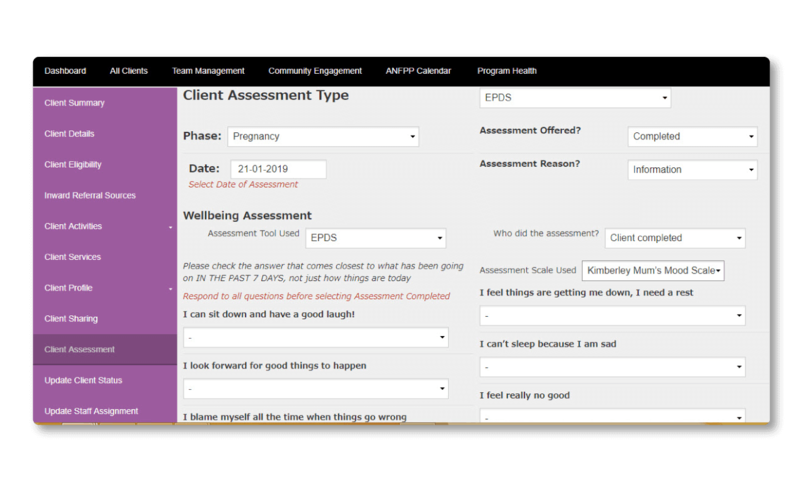 Most importantly, whatever information collection and client management solution ANFPP chose would need to offer an intuitive UX to help staff operate as efficiently as possible and provide an application accessible via the internet. Solution - ANFPP Systems Lead Guy Elliot from Abt Associates was tasked with creating the new solution. He and his team knew they could likely address the challenges ANFPP was experiencing with its legacy data collection solution, but not for long. Guy had previous experience with other low-code solutions and was well aware of the benefits they could provide. After seeing extremely positive feedback for OutSystems, he knew it was the right choice for this project. A rapid development and iteration process meant Abt Associates could quickly incorporate user feedback and iterate. Support for cloud deployments and user access via the internet simplifies user access from remote sites. An intuitive platform with automation helped Abt Associates manage the project quickly without having to outsource to contract developers. The potential to add new features in the future, such as data sharing via APIs, allows for enhanced scalability. 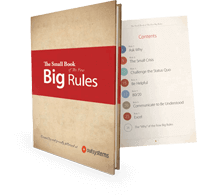 Using OutSystems, Abt Associates was able to bring the solution to life. 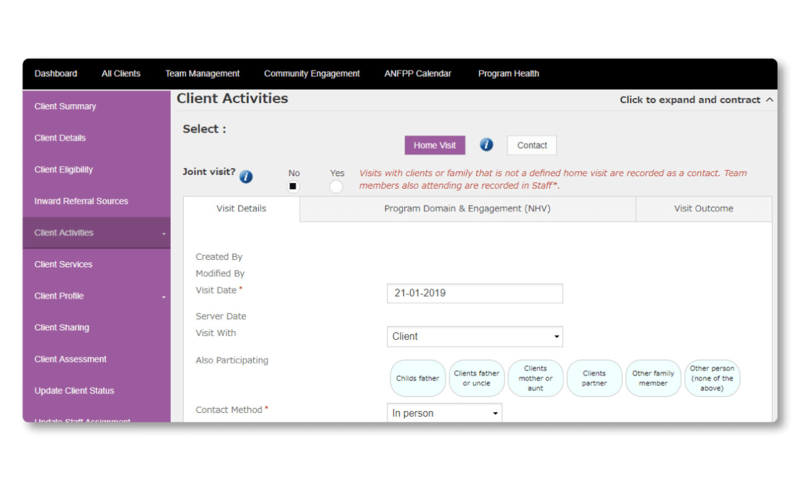 Known as the ANFPP National Knowledge Access (ANKA) system, it offers a web-based client management and program information solution that transforms the way the ANFPP’s home visiting teams and administrators collect, process, and share program data. Results - Using OutSystems, Guy and his team were able to quickly create a new system that helps ANFPP securely share and store client and program information. With seamless deployment in AWS and a design that desensitizes personal client data, the app offers compliant, secure data sharing across all sites. And because OutSystems allowed for rapid user testing, feedback gathering, and iteration, Abt Associates was able to deliver an intuitive UX that helps keep program staff productive and efficient. By using a low-code approach, Guy and the team also benefited from a rapid development process that meant the project could be delivered on time while using only in-house resources. 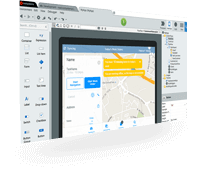 Looking to the future, the speed and flexibility of OutSystems mean any changes can be made quickly and easily. Abt Associates plans to make the most of this to add new features to the ANFPP platform every month, along with an enhanced UX and data structure in the next year. The Central Line portal enables much greater collaboration across the organization, while also saving the company over $1 million per year.